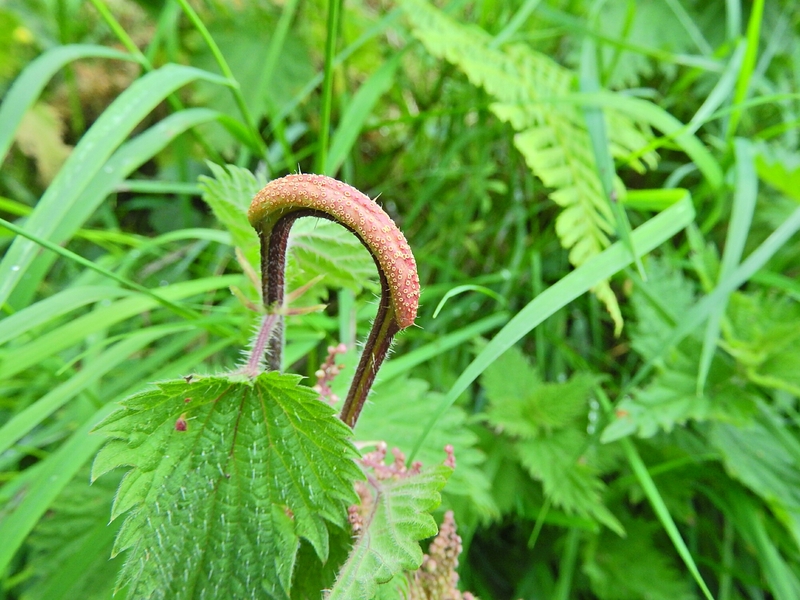 #StayWild Tip: Take a second look at familiar plants, birds or animals and learn something new. Earlier in the week I had tweeted a photo of something unusual I had encountered, and it had a few people scratching their heads. 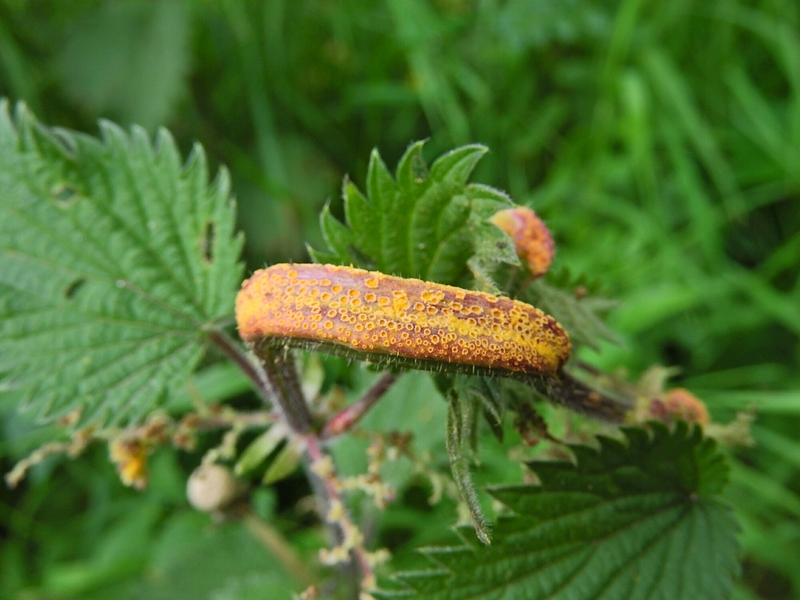 Guesses ranged from “triffid”, to “octopus leg caterpillar”, and – probably closest to the mark – “stem gall”. 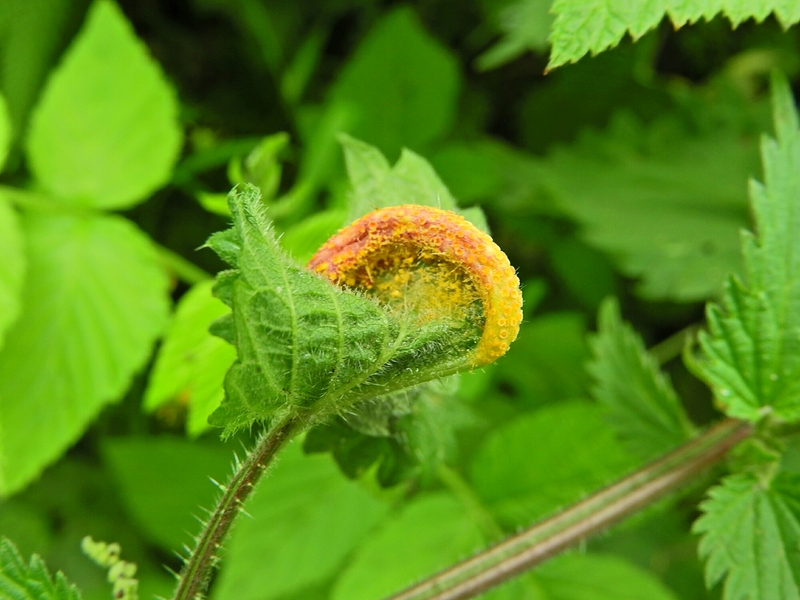 It was indeed a gall, initiated by a type of rust fungus, and the heavy swellings cause the plant stems to contort and bend back on themselves. Whether caused by insects or fungus, I find galls fascinating but also slightly macabre. 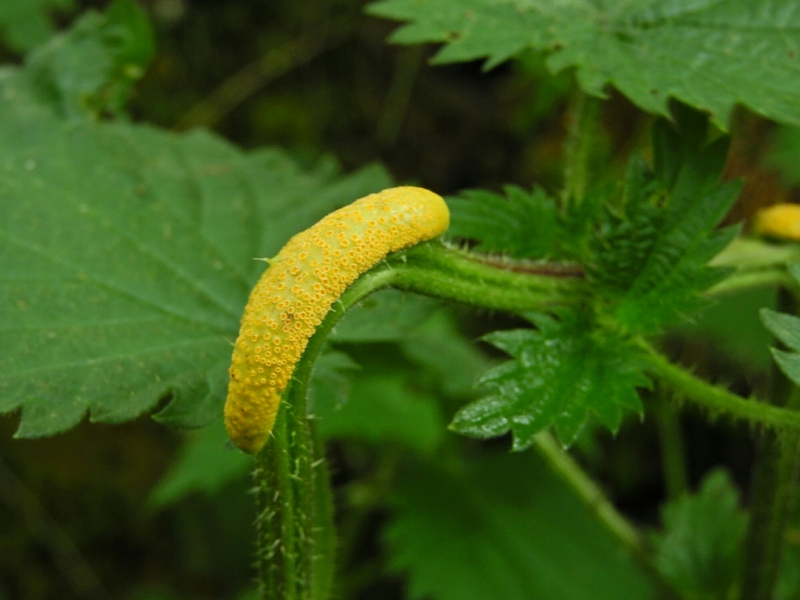 The idea that a living, growing plant can have its tissues mutated into a form that serves another creature is like something from science fiction. I have a theory that perhaps the galls appear like tasty insect treats, and maybe curious birds act as vectors for the spores. 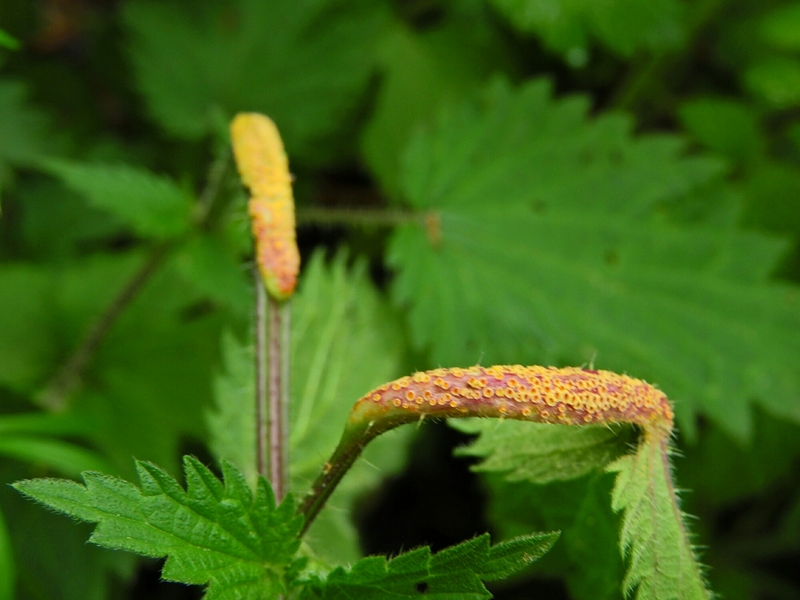 Now that I have noticed the fungus gall on nettles I am seeing them everywhere I go, which makes me think… where have they been all my life? I’ve been hanging around in places with nettles for practically my entire life, but I guess I never really looked close enough before.